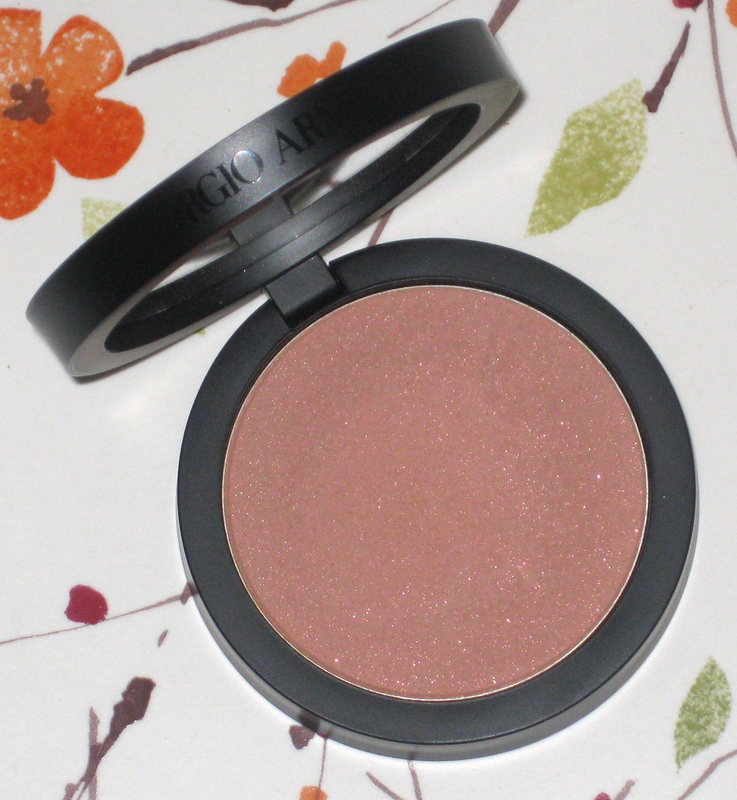 Giorgio Armani Sheer Blush 4 Sand review and photos. Giorgio Armani Sheer Blush 4 Sand. 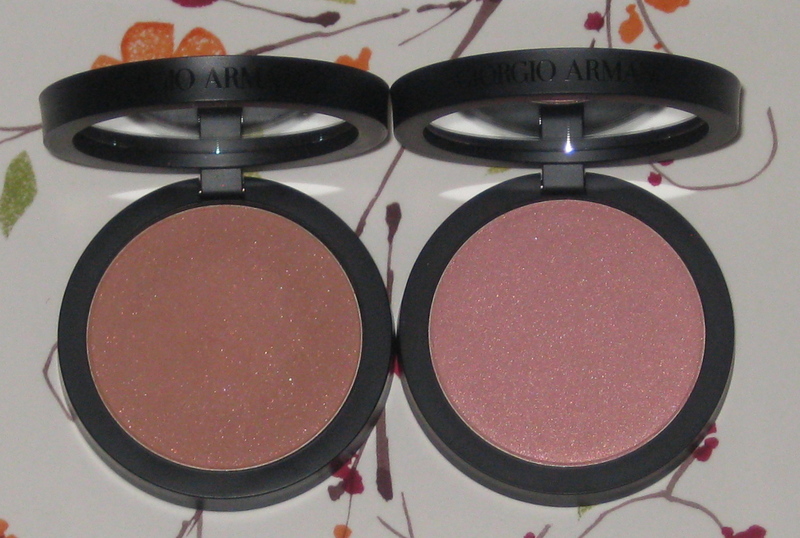 I must admit, if there is one thing in particular Giorgio Armani Cosmetics does well, it is blushes. Frankly, I never even thought of trying their blushes, until a lovely sales woman at Sephora in the Chelsea Meat Market location (Eve) was kind enough to direct me to this wonderful line. She claimed that this was her favorite blush and bronzer formula in the whole store (that is saying a lot). One touch of the silky smooth texture, was enough to convince me to purchase Giorgio Armani Sheer Blush 4 Sand ($44 US/ 6g.). 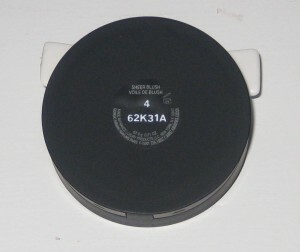 This was my first Armani Blush followed by 10 Beige (reviewed here). Did I need another rosy/tan blush? No, I did not…this was a classic case of I saw, I want, I bought…does it get any more primal than that? Giorgio Armani 4 Sand has an ultra silky smooth formula. Sleek black magnetic packaging coupled with a sizable mirror. 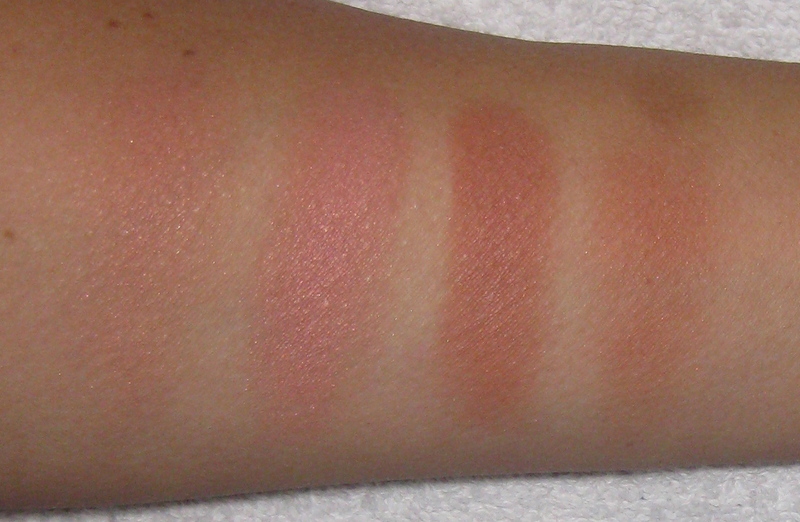 Blush 4 Sand is a beautiful rosy/tan color mixed with micro pink shimmers. Powder is tightly pressed into the compact. Noticeably soft formula that applies smoothly like a cream. Pigmented with a sheer texture and tone. Blends easily to meld with the skin rather than sitting on-top of the skin. Refined shimmers transform into a beautiful sheen on the skin. The more the color is buffed into the skin the more luminous the effect. Color can be layered without settling into pores. Lighter skins will find 4 Sand can double as a bronzer and blush. Darker skins and medium complexions will find the pink sheen quite complementary to their skin tone. Permanent color in the Armani line. Armani offers 6 g/$44 as opposed to Chanel blushes which offer 4 g/$43. Stays put for 8 hours and beyond…(longer if you use Skindinavia Setting Spray). Giorgio Armani Sheer Blush 4 Sand swatch. Armani Cosmetics are not readily available everywhere. Sephora stocks the line, in-store, at two locations in NYC (Chelsea Meat Market and Times Square, but not online). Absence of a protective cover and/or brush–at this price point, an additional item should have been included. L-R: Giorgio Armani Sheer Blush 4 Sand and 10 Beige. 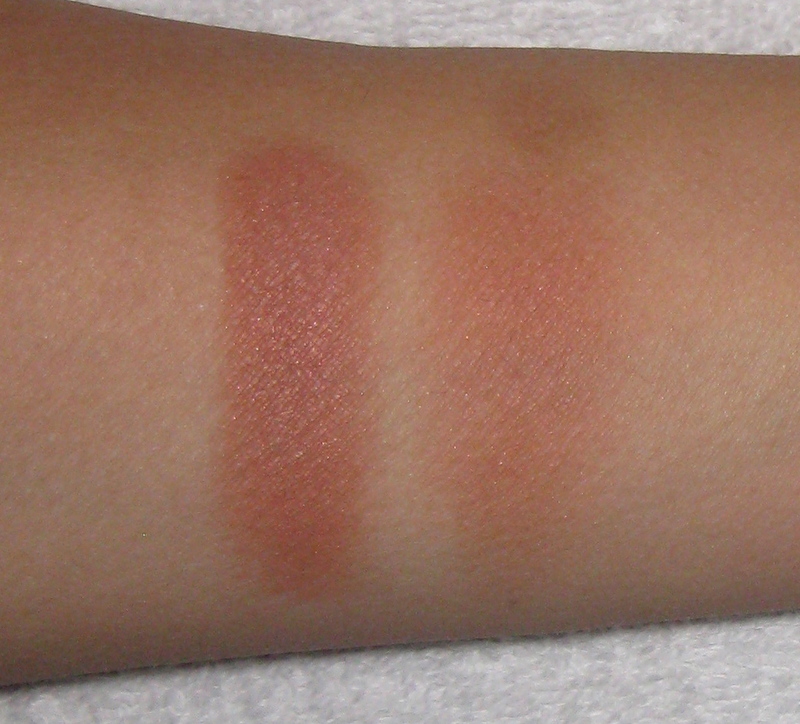 L-R: Giorgio Armani Sheer Blush 10 Beige (blended out and heavy swatch). 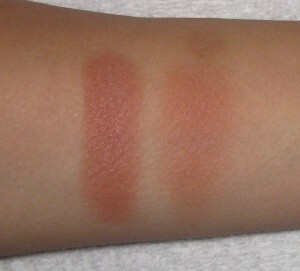 Giorgio Armani Sheer Blush 4 Sand (heavy swatch and blended out). Giorgio Armani Sheer Blushes come in six classic colors. Giorgio Armani Cosmetics can be found at Bloomingdales, Saks, Nordstrom, and Bergdorf and giorgioarmanibeauty-usa.com. 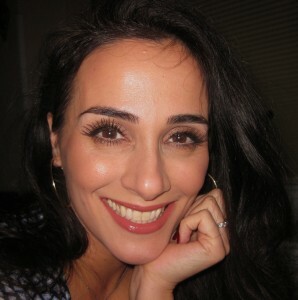 Wearing Giorgio Armani Sheer Blush 4 Sand as a blush. Giorgio Armani Sheer Blush 4 Sand used as a brozner and 10 Beige used as a blush. 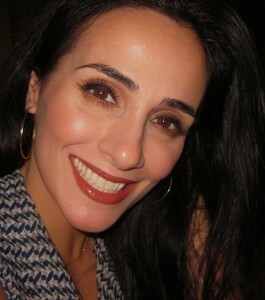 Makeup would tell you Giorgio Armani Sheer Blush 4 Sand is a very versatile color. Use it as a blush, bronzer and even as an eyeshadow to simply add warmth to any eye look. Whatever your intended purpose for this lovely basic shade, you will not be disappointed by its performance, color and texture. If you are in the NYC area and are a VIB (20% off until November 11, 2013) stop by Sephora (Times Square or Chelsea Meat Market locations) to try and perhaps buy, any of the Sheer Blushes from Armani. I promise, you will not be disappointed. My sights are set on the Giorgio Armani Sheer Bronzer in 5 Golden Sand this weekend…20% off will make my purchase even sweeter. Be well and stay safe.